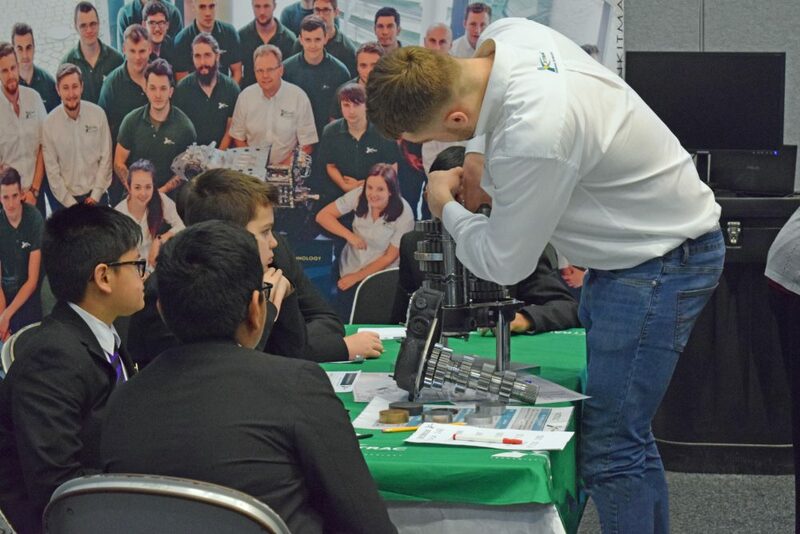 Warren Page, Xtrac’s Apprentice Manager and 2nd year Apprentice Daniel Eggleton attended the TeenTech interactive event held at the University Of Surrey Sports Park in Guildford on 22 January. This was the Sixth time the event has been held at this venue and was support by over 30 high technology companies from STEM (Science, Technology, Engineering & Maths) based sectors and was attended by over 300 students. 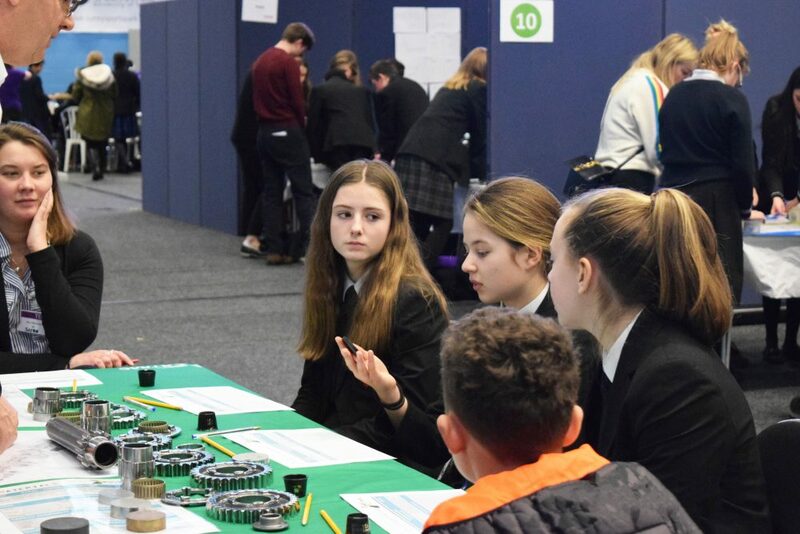 The event targets Year 8 students, aged 12-13, from multiple secondary schools who are taken out of school for a day to understand their true potential and the very real career opportunities available to them if they select STEM subjects for their GCSEs. The events are part of a coherent structure which enables learners and teachers to take new found interests and enthusiasms further. 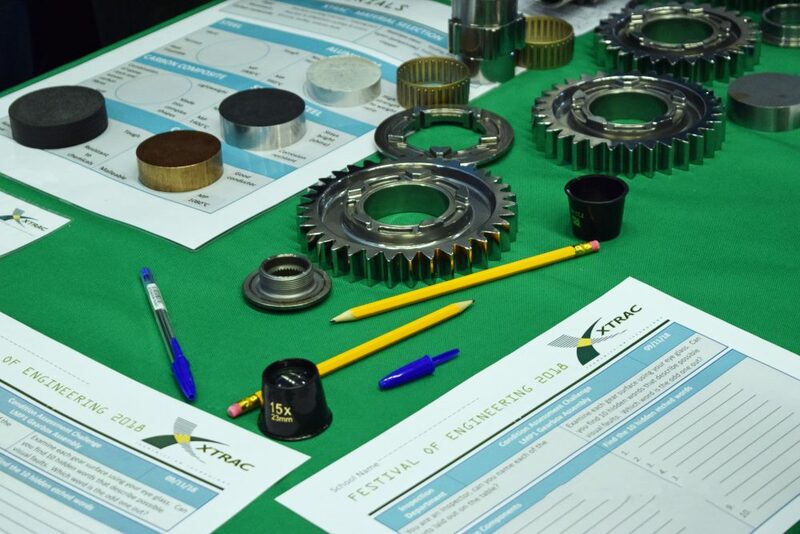 Xtrac focused on showcasing the company’s employment opportunities and highlighted our award winning apprenticeship and graduate programmes and clarifying entry qualifications. Presenting in the Challenge Zone, Page & Eggleton ran an activity where six groups of pupils were Transmission Technicians for 30 minutes. 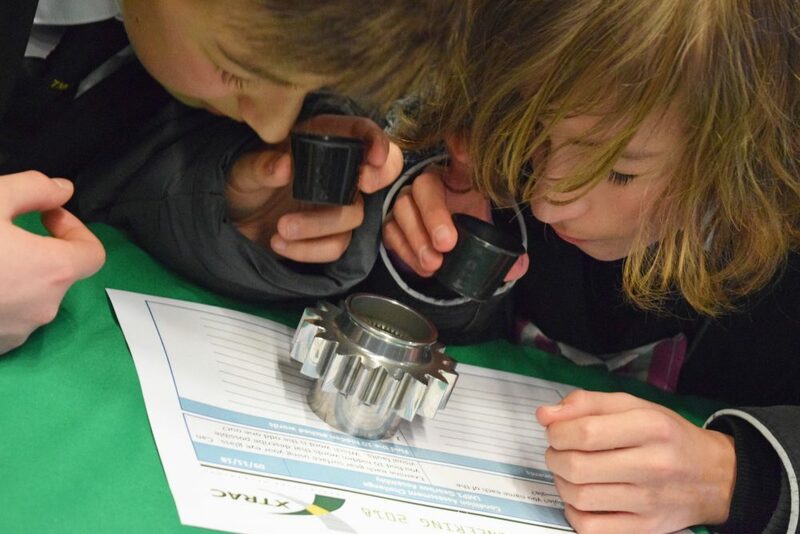 The activity included looking at disassembled components which had previously run in an LMP1 Sportscar Le Mans 24 hour gearbox, reporting the condition of components and assembling a mainshaft cluster with reference to an assembly drawing.